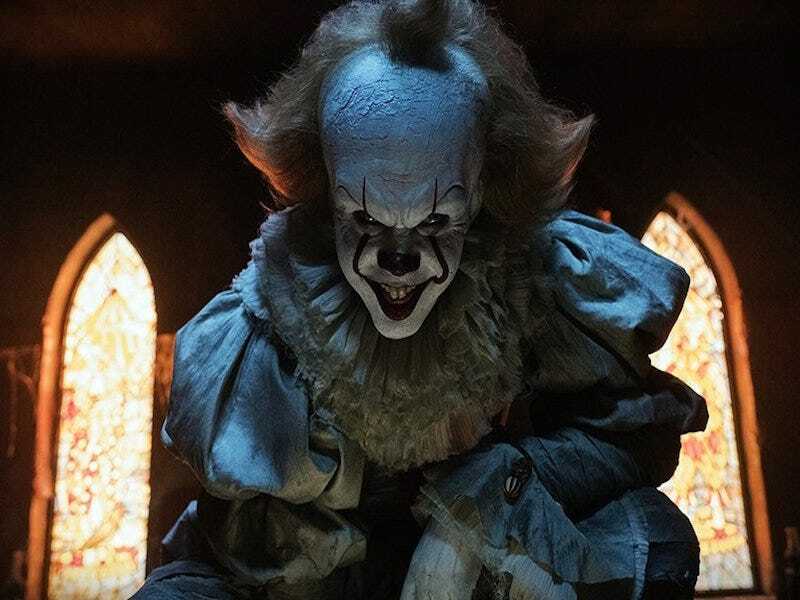 I just loved Bill Skarsgård’s Pennywise. The lazy eye thing wasn’t just creepy; I realized that one of his peepers is always staring directly into the camera. At you. I much enjoyed Ben’s class project, a model of a famous building in town. It was a subtle nod to his future as an architect. When Ben’s in the library, there’s an older woman in the background, smiling at him while out of focus. After Ben slams the book in fear, the woman is gone... and a red balloon floats past where she was standing. Fairly certain that IT’s house on Niebalt street is bigger on the inside. The hallway is too long, there’s a third floor, and the small round window on the front of the house is on a side wall, inside, away from the front of the house. I could watch the scene where Pennywise unfolds in the kitchen a dozen times over. It’s an absolute delight to watch him play with his food. Couldn’t help but shake my head when Stan was the last to enter the house for the climax, and the first to leave the group at the end. Very nice touch.